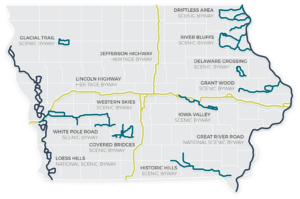 Whether you are a community, an individual, or a corporation, your tax deductible donation is critical to help the Byways of Iowa Foundation accomplish our mission. We invite you to become a part of an organization that is making a difference across Iowa! 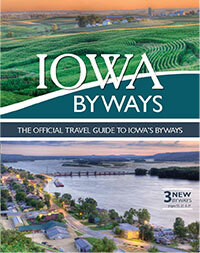 Membership in the Byways of Iowa Foundation is an endorsement and annual gift which will help spur economic development and tourism while helping to enhance quality of life for Iowa’s residents. The benefits of membership include savings, convenience and fun, but most importantly, our members are committed to making their communities better places to live, work and play. Northeast Iowa Resource Conservation & Development is a 501(c)(3) non-profit organization, tax ID 42-1309260, serving as fiscal sponsor for the Byways of Iowa Foundation. Your full donation is tax deductible.